East Timor Law and Justice Bulletin: Media in East Timor: Free and independent? Media in East Timor: Free and independent? 21/08/2011 East Timor Legal News Source: Reporters without Borders This is a relatively old story dating back to 2005 but we have decided to republish it here on ETLJB as a matter of record and an insight into the position of the free media in East Timor at that time. Suara Timor Lorosae (The Voice of Timor Lorosae - a combination of the old Indonesian word for "voice" and the Tetum name of "East Timor"; "Timor-Leste" as in the official Portuguese version) is a prominent and widely read daily newspaper. 3 March 2005 - Reporters Without Borders said it was dismayed by government harassment of privately-owned daily newspaper Suara Timor Lorosae aimed at bringing it into line, after it reported on famine deaths denied by Dili. Prime Minister Mari Alkatiri has taken a series of steps against the paper over several weeks, imposing a boycott, stopping government advertising and banning its journalists from attending official press conferences. He has also attempted to have the newspaper evicted from its offices. President Xanana Gusmao has offered himself as a mediator. "The boycott and threats against privately-owned publications are methods that are unworthy of a democratic government," said the worldwide press freedom organisation in a letter to Alkatiri. "We urge you to put an end to all the restrictions imposed on Suara Timor Lorosae". The prime minister imposed an indefinite boycott on the paper on 23 February. Members of the government and officials were ordered to break all contact with the daily's journalists, not to buy it and not to read it. Its journalists were banned from attending official press conferences. The prime minister also incited people to stop buying the paper. Portuguese news agency Lusa reported him as justifying the boycott by saying, "We have the right to maintain relations with the serious and independent press but not with propagandists who have no objectivity." The Land and Property department on 3 February ordered the paper's management to quit within 60 days offices they have occupied in Dili since 1993. 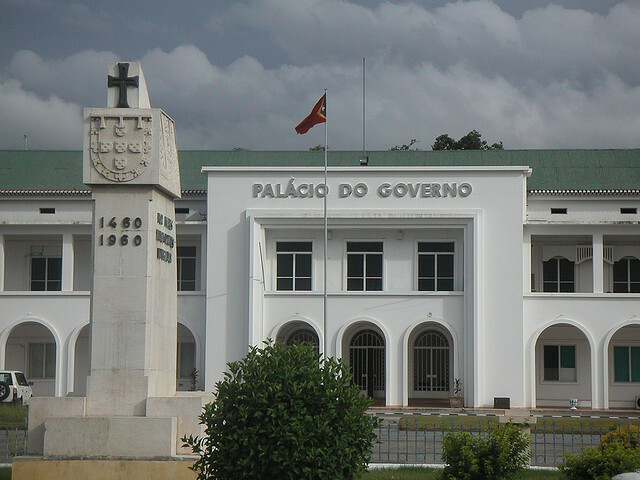 This was "an impossible deadline to meet" said deputy publiser and editor in chief Domingos Saldanha, who wondered why the government wanted to recover the building when "there are plenty of empty buildings in the capital". It was all the more surprising since the daily had proposed a deal, following an earlier eviction threat in September 2003, under which it would pay rent to the state. According to Saldanha, Sergio Viera de Mello, former UN representative in Timor, had suggested reconstruction of the building that had been devastated by pro-Indonesian militia in 1999. 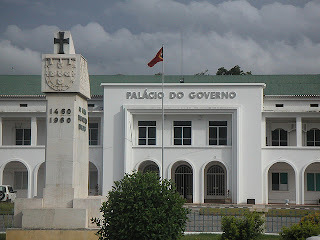 The daily resumed publication nine months later, in June 2000, and President Gusmao even attended the inauguration of the premises, rebuilt with international aid. This harassment of the oldest and biggest-selling daily in East Timor is apparently mainly due to the publication of an article, quoting a local official, on the deaths from famine of 53 people in Ainaro district. The government in Dili denies the famine deaths. Domingos Saldanha said the prime minister had called him on the phone to complain to him about these "lies". Two months earlier, Mari Alkatiri threatened the newspaper's management after it published statements from a social-democrat politician criticising the sending of aid to tsunami victims. Saldanha said this was a violation of press freedom. "A prime minister should not telephone a journalist to express his discontent as Mari Alkatiri does." The journalist was received by President Xanana G usmao whoproposed himself as mediator. On the other hand, the speaker of parliament, Francisco Guterres, was pictured on the front page of the 1st March edition of Suara Timor Lorosae next to two of the paper's journalists. He said it was contrary to the constitution to boycott a newspaper. The paper's management believes the problems have been partly caused by language problems. "The articles that have caused trouble recently have been published in Indonesian. The prime minister does not speak that language and must have a bad translator", said Domingos Saldanha. The newspaper is produced in four languages : Tetun, Indonesian, Portuguese and English. The boycott has had far-reaching financial consequences for the newspaper, which has a circulation of 1,500. The management estimates monthly losses at more than 1,500 euros but Saldanha said that he would not give way to pressure, "wherever it comes from." publicly expressed his concern about the famine problem. Timor: Where Has All the Aid Gone? TEMPO SEMANAL: Democracy or Democrazy?